← How Osama bin Laden eluded George Bush. If Pakistan was a safe haven for Osama bin Laden, then why were we giving Pakistan $20 billion?! Senate Bill No. 1239 (SB1239) was approved on May 4, 2011, increasing taxes largely on the middle class residents in Connecticut. My question to Governor Dannel Malloy is, why did you place the burden of its revenue raising provisions on middle class citizens of Connecticut? Thank, God, Governor Dannel Malloy is a Democrat. Can you imagine the regressivity of the tax bill if Malloy had been a Republican?! Perhaps Malloy, like President Barack Obama and former President Bill Clinton, doesn’t know he’s a Democrat. Can campaign contributions dictate the fiscal policies of our elected official? Perish the thought. How could Governor Dannel Malloy’s tax bill have been truly progressive and representative of middle class residents of Connecticut? I will review the current tax changes and include my belated proposals. First, let’s look at the changes in Connecticut’s income tax rate. Dan Malloy is increasing the income tax rate on all Connecticut taxpayers whose adjusted gross income (total revenues less adjustments to income—itemized deductions are not subtracted from Connecticut taxable income) exceeds $50,000 for those filing single, $80,00 for those filing head of household, and $100,000 for those filing jointly. Consequently, the majority of the middle class residents are having their Connecticut income taxes increased by 10% to 30% depending on their adjusted gross income: this bill certainly imposes an additional and unnecessary hardship on the Connecticut middle class. However, the rich in Connecticut—those whose Adjusted Gross Income exceeds $500,000 for those filing single and $1,000,000 for those filing jointly—only have a 3%, and not a 10% to 30%, increase in their tax rates! Is this equitable? Is this sharing the pain? Is this a progressive tax bill? Suppose you report $100,001 in adjusted gross income. What impact will Malloy’s tax bill have on your Connecticut income taxes? You will pay an additional $1,000 in Connecticut income taxes under its new income tax rates. Nice, huh? Does this hurt your wallet? And if you report $200,001 in adjusted gross income, you will pay an additional $3,000 in Connecticut income taxes under its new income tax rates. Ouch! But if you report $500,001 in adjusted gross income, you will pay only an additional $1,000 in Connecticut income taxes under its new income tax rates! So the individual reporting $300,000 less in taxable income is paying $2,000 more in additional taxes under the new state income tax rates than the individual in the upper income bracket?! Where is the progressivity in the tax rates on the rich? Shouldn’t they be paying even more under a progressive tax structure? Why are not those percentages of increase in the Connecticut income tax rates reversed for those income thresholds? Why are not the rich seeing an increase of 10% to 30% instead of a mere 3% increase? And why are not the middle class Connecticut residents getting a mere 3% increase, if any, in their tax rates? Could it be because Dannel Malloy has his roots in Stamford, Connecticut in Fairfield County, the richest county in Connecticut? Could it be that Governor Dannel Malloy is a Democrat in sheep’s clothing? Isn’t this more trickle down nonsense of the Republicans, claiming by being soft on the rich, that wealth will trickle down and jobs will be created here instead of China and India? Do you still believe in this Republican voodoo economics after the greatest transfer of wealth to the upper class over the past thirty years?! In addition, Dan Malloy’s tax bill will have a significant impact on lower and middle class residents by reducing the Connecticut property tax credit from $500 to $300. So there alone is $200 more in taxes for the majority of Connecticut residents. That’s regressive as well. But there many other regressive provisions in Dan Malloy’s tax bill. The overall sales tax rate, a tax that takes a larger percentage of disposable income from the lower and middle classes than from the upper class, is increasing another 5.83%, up from 6% to 6.35%. In addition, the sales tax exemptions on sales of clothing less than $50 in amount and sales of non-prescription drugs and medicine are being eliminated. Moreover, alcoholic beverage taxes are increasing on average 20% and cigarette taxes 13.3%, while there’s an additional 3% cabaret tax admissions, food, drink, service, and merchandise at any place offering live music, dancing, or other entertainment for profit in addition to serving alcoholic drinks. There are too many increases in taxes and fees targeting the Connecticut middle class too numberous to itemize here, but they are targeting the lower and middle classes in Connecticut. If Governor Dannel Malloy were an elected official representing the economic interests of Connecticut’s lower and middle classes, he would not have proposed any increases in income tax rates on couples with adjusted gross incomes of less than $250,000, nor increases in sales taxes, alcohol taxes, cigarette and tobacco taxes, fees, conveyance taxes, and the like, but instead would have progressively increased the income tax rates on adjusted gross incomes exceeding $250,000, but especially on those above $500,000! That approach would have been in the best interests of Connecticut lower- and middle-class residents. So why has a Democratic Governor, why has Dannel Malloy, proposed and signed a regressive tax bill burdening the Connecticut middle class? Is Malloy following the political centrist paths of Barack Obama and Bill Clinton? These two clever politicians have been very successful inching themselves to the political right as the Republicans continue their Shermanesque march to the precipice of the political extreme right, shifting the center of the political fulcrum like two birds of paradise performing their rhythmic and instinctive mating dance. Have you noticed yet that it’s always the middle class getting screwed at the end of their dance? My deep-gut suspicion is that Dannel (blue blood variant of Daniel?) Malloy has further political aspirations, perhaps for the Presidency or the Vice-Presidency, and he believes that such positioning will serve him well in the future. Hopefully the middle class of Connecticut will realize the regressiveness of his tax bill and not only not re-elect him in the future but voice their opposition to his policies and political aspirations to middle class taxpayers outside of Connecticut. This entry was posted in Accountants CPA Hartford, Articles and tagged Governor Daniel Malloy, Malloy's income tax bill favors the rich, Malloy's regressive tax bill, Middle class hard hit by Malloy's tax bill, New Connecticut tax bill, SB 1239, Senate Bill No. 1239. Bookmark the permalink. 25 Responses to Connecticut Governor Dan Malloy’s income tax bill favors the rich. It places Connecticut’s deficit on the backs of the middle class. 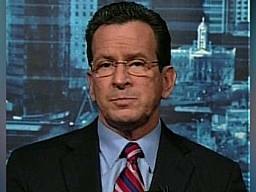 Is Dannel Malloy positioning himself right of center because of future political aspirations? After reading this, and struggeling to survive on $56k per year, I am getting the hell out of CT for good…never to return!! Pretty soon Malloy will want to tax us for breathing, tax all our food and drinks, tax our rents, mortgages, just tax us to death. Why not, the greedy jerk is making sure HIS personal taxes don’t increase enough to have an affect on his lifestyle! I’m going to laugh like hell when CT turns into a ghost state in the next few years…then where are you going to get tax money from Malloy?? You can’t get blood from a stone!! Too bad Malloy didn’t have all his investments with Bernie Madoff…if anyone deserves to be robbed blind, it’s Malloy. He doesn’t even deserve to be noted as governor…he’s more like a middle age tyrant squeezing the surfs til the die. Connecticut Governor Dan Malloy certainly did not burden the rich with his new tax bill; he placed the burden entirely on the shoulders of the middle class. He’s from Fairfield County, where all those Wall Streeters live. So is it to anyone’s surprise that the Wall Streeters got off with a very minimal tax increase in comparison to those on the lower and middle classes? Is the sky blue? I feel for you, Roger. And I share your outrage and anger. Please sign the petition to let Malloy know. Perhaps it will deter him from further increases in your Connecticut income taxes. where do i sign, is there a link on this website or am i tolate. What can we do about this? There must be something we can do. I mean, if we don’t, what’s stopping Malloy from taxing us back to the stone age? Let him take a dollar a year for his service like Mayor Bloomberg of NY does (he’s not even worth that in my opinion). Make the ‘legislators’ take a 1/2 salary cut, after all, they are supposed to be public servants who aren’t interested in becoming rich from politics (yeah, right). How did this get passed? I never even heard about it until recently. We should retroactively remove ‘Dannel’ from office. He’s another example of taking care of the rich. BUT MY QUESTION IS, HOW CAN WE FIGHT THIS OUTRAGE???? One thing for certain: we cannot rely on our politicians to change the redistribution of wealth that has been transpiring from the middle class to the elite rich over the past 30 years and now escalating into a climax of further tax cuts for the rich and the Multinational Corporations that own our governmental officials and mega cuts in Social Security, Medicare, Medicaid, education, and a host of other social net programs. That’s like asking the fox to guard the hen house. What the lower and middle classes must do is the following: first, get the word out, as you have done just by commenting; secondly, stay involved and continue to communicate with everyone, since many of our peers are oblivious to the current state of affairs or are listening to nonsense propaganda from corporate mouthpieces on the media; and most importantly, start organizing, joining others. I recently tried to form a Middle Class Party in Connecticut. I published an invitation for individuals to sign my petition so that I could register the Party. I was very disappointed in the response that I received. If you wish to sign it, let me know. As soon as we get 25 signatures, I will register the Party with the State and start supporting candidates to shake things up. Other than what I have prescribed above, or a revolution, which is probably what would be required to remove the entrenched power now existing in Washington, it will be impossible to effect any meaningful change. Did you notice that not one progressive has challenged Obama in a primary? He, too, has sold out the middle class. Too bad Ross Feingold or Bernie Sanders are not running for the Presidency. Then I would have some hope. This is way better than a brick & mortar etalsbishment. I will sign your petition. This is ridiuclus and we need to stand together to fight the powers that be. What a good idea! Let’s petition Governor Dannell Malloy as well as our Connecticut State Senators and Representatives to make the tax increments progressive, targeting the super rich. It’s time the middle class organizes, stands up to the government, and protests in a unified voice! We have witnessed the greatest transfer of wealth from the middle class to the upper echelon over the past thirty 30 years with this trickle-down, voodoo economics of lowering the tax rates on the rich. It’s time to reverse that trend. I am all for it!! I am 30 years old and I can get at LEAST 100 signatures for this! How and where do we start? I will draft a petition with signature pages for attachment. Please contribute what you wish to be included in the petition in your replies and comments. And I will add your comments. I’m excited! Its high time for the working middle class to stand up for our rights in Connecticut!!! The rich keep getting richer and now the middle class is getting poorer! More sales tax, more income tax… whats next more property tax?? Where is all the money from the Casinos going?? Why is it so easy for the upper class to dismiss our concerns and our well-being? Malloy made the most expensive state to live in EVEN more expensive! The long-term affects of this will be clear when all the big businesses move down south because they cant make the same amount of profit anymore. Its already happening and people are clueless!! I work for a fortune 50 company and i have no doubts that within the next 10 years we will no longer call CT our home! What will Malloy do then?? TAX HIS PEOPLE EVEN MORE??????? Big businesses are moving out, taxes are going up and jobs are scarce. Something has got to be done before its too late and CT becomes a state that not only no one lives in but no one even wants to visit. Unfortunately, it is happening on the national level, and it has been transpiring for at least the last thirty years, ever since Ronald Reagan spouted that idiotic nonsense about “trickle down” economics: that is, if we lower the taxes on the rich, that they will benevolently spread it around. The American people bought into that garbage. I never did! And now the Republicans are chiming a slight variation of that trickle-down nonsense: if we now lower taxes on the rich and corporations, they will create jobs…LOL! And tomorrow it will be, if we lower taxes, the rich will find a cure for cancer. Our members of Congress and other elected officials are dependent on campaign contributions and monies from lobbyists. They do not represent you and me. They represent their “employers”, those corporations and individuals funding their campaign coffers. That’s the problem: our elective officials are “employees” of these corporate and upper-class interests, that are funding their never-ending need for campaign contributions so that they can be re-elected. So until the American working classes unite, organize, and force the government to get all money out of politics, money will continue to corrupt the legislative process. Even though 82% of the American people say “tax the rich” to close our nation’s deficit, Obama, Republicans, and many Democrats will agree to cut $4 trillion over the next ten (10) years from Social Security, Medicare, Medicaid, education, etc., without raising the tax rates on the rich. Congress is a wholly owned subsidiary of Corporate America. And so is the White House. Unless the American working classes unite, organize, and demand real change now, the transfer of wealth will continue, leaving only two classes in America: the few who have everything; and the masses who have very little, if anything. I am ready to unite and demand real chang. I’ve already got the word out about the petition and people are standing by waiting to sign. I agree 100% with everything you’ve said and its time to take a stand. We need to make our voices heard before its too late. How is the petition coming? I’ve got people waiting to sign and ready for change! When will the general public wake up and see that it is indeed class warfare, that the few are taking all the spoils? Most of our governmental representatives are on the corporate payroll doing the bidding of their donors in order to get re-elected. The money in politics has corrupted our system entirely. The rich control the government. Instead of taxing the rich to curb the deficit, the government will cut our social security, medicare, medicaid, etc. Obama is as guilty as the rest. This transcends parties. Although the Republicans are a wholly owned subsidiary of the multinational corporations, the Democrats are at least partially owned. The middle class is hemorrhaging to death. I am in shock that you believe what the govenor has done is a republican move. The middle class has taken the hit because democrats consider the middle class the “rich”. Republicans philosophy is to not raise taxes on anyone, but cut the spending. Your interpretation of this situation is completely incorrect. Wasnt it mayor Malloy who attempted to raise taxes in Stamford so high that a judge had to stop him? The writing was on the wall with this one! This was Governor Malloy’s bill: he proposed this bill; and he signed it. Malloy’s bill only raised the tax rate 3% on the rich. The facts speak for themselves. He is Governor; and this is what he proposed and signed. As Harry Truman said, the buck stops there. 82% of the American people want to raise taxes on the rich. All Malloy had to do in the face of Republican opposition was take his case to the voters of Connecticut. He did not. So he is responsible more than anyone for this tax bill since he failed to follow through on what 82% of Americans want: that is, raise taxes on the rich. They, the Republican and Democratic politicians, tax us, the middle class, rather than the 1%, that is, the super rich because they get their political contributions from the 1%. Goldman Sachs was the largest single contributor to President Obama in 2008: so why would Obama raise taxes on the super rich and the big corporations when he needs those campaign contributions? Our political system is broken and needs to be replaced. Governor Malloy. I know this has nothing to do with the above article, but I could not find any place else to post this…you asked a question a few weeks ago, ” How can we get more people to vistit our state….Idea…..lower the taxes on oil (gas). That should lower the cost about .50 cent per gallon. To fill my tank today and it was 11 gallons, not a big tank when you think of it, but 11 gallons at $3.96 per gallon cost me $42.46. If you lowered the tax, it would have only been $38.06 a saving of $4.40, a gallon of milk, or a half of a movie ticket, or $4.00 more on a tip. Something else would have been bought with the extra money. Thats the point, something else would have been purchased somewhere else in the Town. More money equals more spending. So the market is going up but everything else is still too high in price. If fuel is to high no one will visit the State we live in…I know this year like last year, We will not be going to any of the Fairs in the state because it just costs to much to do so. $.50 cents, would that be to much to ask ?? ?